Toshiba of Canada refreshed its consumer lineup of laptops and tablets this week, highlighted by a new laptop series that promises sleek style that doesn’t compromise multimedia performance. 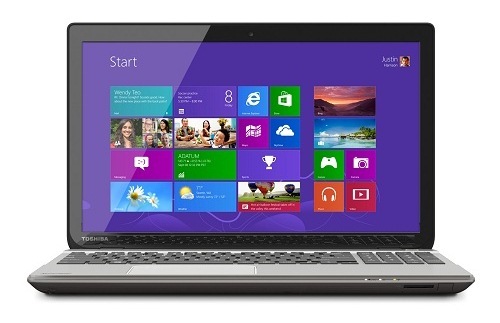 The premium offering in Toshiba’s new laptop is the Satellite P Series, available in 15” and 17” models, boasting a new metallic design and frameless keyboard. According to the vendor, it’s a multimedia powerhouse ideal for an on-the-go student. “It’s our ultra-sleek, slim, stylish laptop, but it doesn’t hold anything back in terms of the actual performance as well,” said Tony Mooc, a product trainer with Toshiba of Canada. Pricing starts at $899 but can move quickly up with a range of available options, such as Intel Core processors up to Core i7, Nvidia GeForce GT740M or GT745M graphics, up to a 1TB hard drive and 32GB of memory, and an optional touch screen for the full Windows 8 experience. HDMI 4k2k output is also an available option on select models, as is a Blu-ray optical drive. “The speaker quality is no compromise as well, with four drivers powering Harman Kardon speakers for that full immersive multimedia experience,” said Mooc. Toshiba also refreshed three other Satellite laptop lines, its C Series (starting at $399), L Series (starting at $499) and S Series (starting at $599). 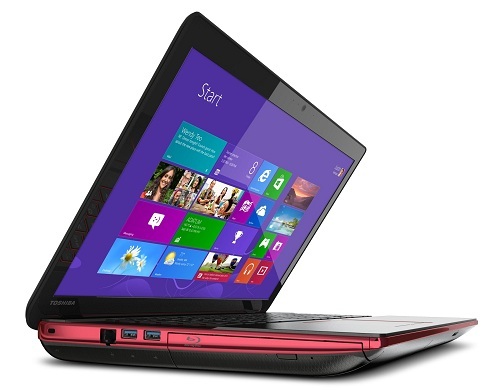 All run Windows 8 and are available with a choice of AMD or Intel processors. Also new is its Qosmio X70 gaming laptop. It starts at $1499, and features a 17.3” Full HD TruBrite display with frameless LED-backlit keyboard, four Harman Kardon speakers with DTS Studio sound and 4K UltraHD HDMI output, with a 4th generation Intel Core i7 processor. 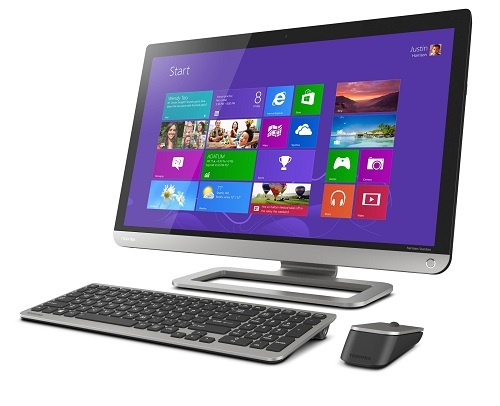 On the desktop front, new from Toshiba is the PX30t desktop, an all-in-one Windows device with a 23” full HD touchscreen display and 4th generation Intel Core processors. Starting at $999, it’s available with up to a 1TB hard drive and 16GB of memory, and boasts Hadmon Kardon speakers and HDMI in so it can be used as a TV or monitor. 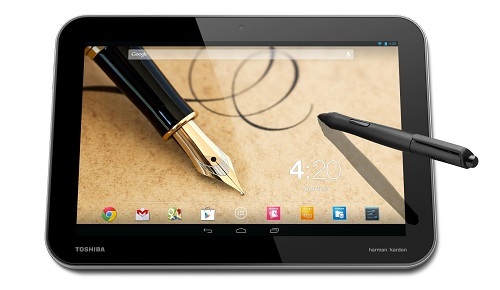 On the tablet front, Toshiba launched two new Android 4.2 Jelly Bean models. The Excite Pure is a budget-friendly model, starting at $319 for a 10.1” AutoBrite display powered by an Nvidia Tegra 4 Core processor with 16GB of internal storage. The Excite Write, starting at $699, is also a 10.1” model but with a higher resolution PixelPure display, faster Nvidia Tegra 4 Core processor, 32GB of internal storage and Hadmon Kardon speakers.